Book Signing for A Man of Character: Today’s The Day! Oh my gosh, you guys – I am so excited for my very first book signing this afternoon! Not only that, but I get to do it with my partner in crime (er, I mean, partner in writing), the most fabulous Tamara Shoemaker! 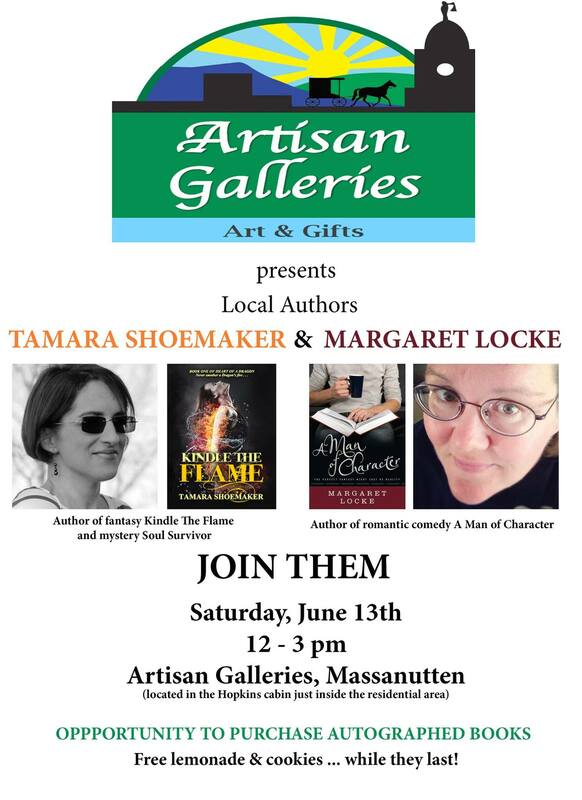 We’ll be at the Artisan Galleries in Massanutten from 12-3, doling out cookies and lemonade and chatting about our new releases – A Man Of Character for me, and Kindle the Flame and Soul Survivor for Tamara. And, hey, FREE autographs if you buy a book! 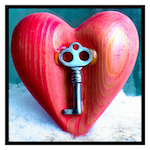 This entry was posted in Miscellany and tagged A Man of Character, Artisan Galleries, Book signing, Kindle the Flame, Margaret Locke, Massanutten, Soul Survivor, Tamara Shoemaker by Margaret. Bookmark the permalink.